Just what i needed close to family and friends for that Christmas get together. So close to shops PUBS where i got to meet old friends. 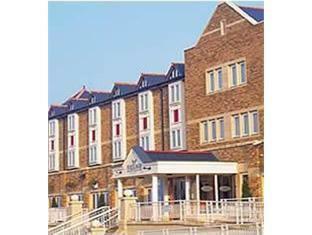 Staff friendly and helpful ,also i had problems withe my booking call the hotel & the dealt with it quickly. Thank to you all MERRY CHRISTMAS HAPPY NEW YEAR. pleasant value for money and comfortable. 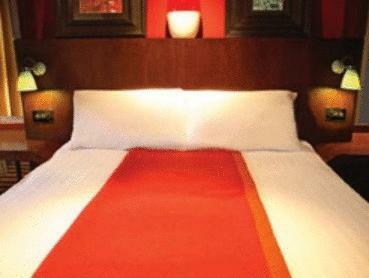 although I booked a double room the bed consisted if 2 single beds linked together. Breakfast & Helpful staff because of our complaints! Firstly we brought the room at a discount price off Agoda, this was a standard hotel room and to be honest was clean but have I stopped in better. Firstly when we checked in the Hotel and the receptionist was very helpful and was quick to let us know all ins and outs of staying there. When we got into the room we decided to switch the tv on to watch freeview channels as sky wasn't a option with this room even thou it was stated on our confirmation we had sky tv included! The TV was a waste of time because all we had was Channels 1,2,3,4 5 and a dodgy radio station so no freeview channels where installed within the rooms. As the night passed we decided then to use the free wifi network connection to download a film and watch it on the tv as it had a HDMI output, but again this wasn't going to happen because the option to change channel to the external channels wasn't working and we was very very disappointed. We reported this and nothing was done about it! We went to bed around 11'oclock that night because of a busy day that was following, and a person staying above us in the room was unconciderate and kept running up and down all night which kept us awake! We reported this and all we got was a free coffee from starbucks! We wouldn't recommend this hotel to anyone, Taking the negatives away, the all you could eat breakfast was very tasty and this was included within the price and was very happy with this! Really enjoyed our stay at the village hotel in Dudley. The facilities were excellent and good value for money. Our room over looked the carpark and in the distance we could see the castle. The food in the bar was good but unfortunately we were disappointed with the early diner meal. We would certainly use these village hotels again.